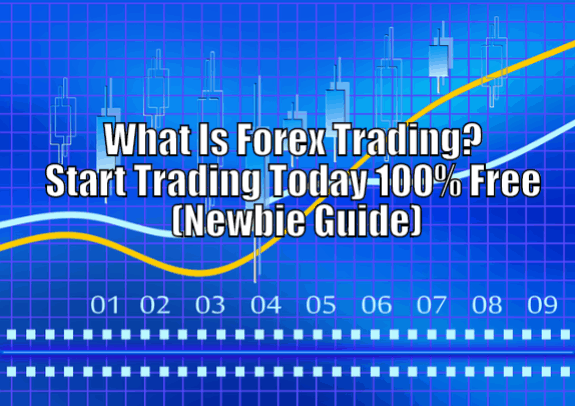 Before understanding the term, FOREX Trading, first we should know what forex is and what is forex market? FOREX (Foreign Exchange) or currency market is a decentralized global market where all the currencies of the world are traded. Forex market is also the largest and most liquid market in the world. The forex market has a daily trading volume of more than $5 trillion. These are three main purposes of foreign exchange or currency market. Among these three, forex for trading is very popular. There are a number of new traders enter into this market and quit trading after facing a huge loss. What is the main reason behind new traders face big losses? 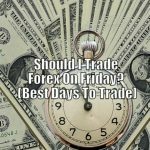 So, in the forex market, you also need to be careful before trading, because this market includes many brokers or forex service providers who provide unscrupulous services. It is very difficult for a new trader to find a regulated and legit broker. So, foreign exchange is the largest currency market, mainly has three purposes, as we have seen above. Among these three purposes, people are more interested in knowing about forex trading. 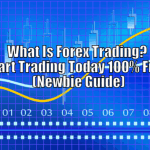 So, here is the detailed elaboration of what actually forex trading is? Foreign exchange trading or Currency trading is undertaken at a decentralized marketplace where all the currencies of the world are traded. Basically, forex trading came into existence to smoothen the international payments. Earlier, it was very difficult to do international payments there was a big hurdle in imports and exports. But, nowadays, with the presence of electrical communication networks, international payment become very smooth and forex trading too. With the smooth device of exchange, the number of new forex traders is also increasing day by day. But, with the increasing number of forex traders and trading volume, it is shocking to know that most of the traders in this market fails. According to the estimation, around 96 percent of forex traders lose their money in forex trading and they end up quitting. It is because new traders take some time to gain ground in this market. New traders simply start trading without having any trading strategy or plan and they also lack in knowledge about the forex market. Many times, brand new traders also face a big loss in this market due to unregulated brokers. An effective forex trader considers all the factors and aspects before trading because the market is affected by many different factors. The Gold Standard System was established in the year 1875. Earlier, before the gold standard was established, countries were commonly using gold and silver as a method of international payment. The basic motive for the creation of the gold standard system was governments assured the conversion of currency into a specific amount of gold. Governments were needed an ideal substantial gold reserve in order to meet the demand for currency exchanges. But, the main issue in international payment through gold and silver was that the value of metals greatly affected by global demand and supply. At the beginning of World War I, the gold standard system was broke down. due to some hurdles in the system. Though the gold standard system would make a little comeback between the wars, most of the countries had dropped it again due to World War II. Earlier, the gold was the ultimate form of monetary value. Before the end of World War II, the Allied nations felt the necessity to set up a proper monetary system in the world for the purpose to carry out effective international payment system. More than 700 representatives from the Allies met in Bretton Woods in July 1944, for the discussion on the international monetary system. The creation of international agencies to supervise economic activities. Those three agencies are the International Bank for Reconstruction and Develop, the International Monetary Fund (IMF), and the General Agreement on Tariffs and Trade (GATT). These are the main discussion held in Bretton Woods and the final conclusion was to replace the US dollar as the supreme standard of convertibility of any currency in the world. The United States’s dollar became the only currency in the world that would be backed by the gold. This became the only primary reason why Bretton Woods failed and finally, the US President on 15th August 1971, refused to exchange the US dollars for gold. Over the 25 or more years, the Bretton Woods System ran into many consequences and in the early of 1970, the US gold reserve was very less that the Treasury did not have sufficient gold to cover all the U.S. dollars that central banks had in the reserve. The reason why Bretton Woods failed was the US dollar was in high demand and there were limited gold reserves to support high demand. And, in the end, the global economy slows down and Bretton Woods failed. The Bretton Woods System was effective only for a few years, and due to the high demand of US dollars and limited gold reserves, the system failed. A floating exchange rate system is a regime where the currency’s price of a country is set by the forex market according to the demand and supply, relative to other currencies. In this system, government and the central bank keeps attempting to keep their currency price favorable for international trading. This exchange rate system became more popular after the failure of the gold standard system and the Bretton Woods System. A floating exchange rate is determined on the basis of the demand and supply on the open market. The extreme short term currency price changes may result in intervention by central banks, even in a floating exchange environment. Central banks and governments can step in when a nation’s currency rate is extremely high or extremely low. A nation’s currency is extremely high or extremely low could negatively affect the country’s economy, affects trading and the ability to pay off debts. The government and central bank attempt to implement many measures to move their currency to a more favorable price rate. The Electronic Communication Network (ECN) was introduced in the year 1990 in the United States to facilitate electronic trading. This was the time when the internet and technology were developing day by day. Due to expansion in technology and the internet, it made possible for any investor in the world to invest in the forex market. Brokers started appearing as market makers, the brokers place trades on the ECN network on their client’s behalf, selling at the slightly high price and this how they make the profit. Small/Retail investors, who take interest in the forex investing, can sign up for a good broker and they can start trading with a little amount. Electronic Communication Network made very simple to trade all over the world regardless of investors’ timezone or location. ECN made simple to perform any foreign exchange transaction from the comfort of your home. Electronic Communication Network (ECN) made very easy for retail traders to sign up and start forex trading, with the help of a broker who is connected with electronic networks. So, as we can see, forex passed from many systems and methods before the Electronic Communication System. The modern foreign exchange is very effective as compared to old systems. When we talk about forex trading, the price in forex trading is affected by many factors. Due to changes in market inflation rates, there will also be a change in forex market rates. A country that has lower inflation rates, it can see the appreciation in the value of the country. When the inflation rate is slow, there also be an increment in the country’s goods and services price low. While the country which has consistently lower inflation, it can see the rising currency value. When the country has higher inflation rates, it can see depreciation in the currency value and usually accompanied by a higher rate of interests. So, we can say that the inflation rate is one of the major factors that affect foreign exchange prices. Government is a national debt or public owned by the central government. The country with high government debts is less likely to acquire foreign capital, leads to inflation. Foreign investors will avoid investing in the country if the market predicts high governments debts within a certain country. Hence, there would be a decrement in the prices of its exchange rates. A country’s political, state and economic performance can hugely affect the country and its strength. The country consists of less political issues and disorders is more attractive to foreign investors. So, if a country has a lot of political disorders and confusions, tends to reduce its foreign investors and ultimately, it would affect country currency. Changes in interest rates do change the country’s exchange value. Interest rates, Inflation rates, and forex rates all are correlated. When interest rates of a country increase, it causes an increase in the country’s currency rates because higher interest rates provide higher rates to the lender. So, attracting foreign investors can increase currency value. Periodically, every country releases its employment data. Employment in the country is another indication of how well the economy is doing. The high unemployment rate in the country means the country is not growing in line with its population. It also leads to a depreciation in the value of a country and ultimately it decreases the foreign exchange rate of that currency. If the government of a country has plans and strategies to attract foreign investments, it can affect foreign exchange rates. How? If the government has proper plans, it would attract overseas investors to invest and due to significant investment from overseas, it would increase the currency rate of that country. So, the above mentioned are some major factors due to which foreign exchange market trading is affected. The increase or decrease or changes in any of the factors would ultimately affect the country’s currency market. So, a trader should consider all the above factors carefully and trade accordingly. The reason why most forex traders do not make most out of this market is they invest without understanding market situations and without considering external factors that have a huge impact on the currency market. Generally, new traders are unaware of the proper way to trade and they do not have any trading strategy. So, based on the type of traders, mainly, forex accounts are of three types. Mainly, micro or small forex accounts are for newbie traders, those who are new and gaining knowledge about this market. It is a small cap account which allows traders to come into the forex market with a very little amount of money. The main reason behind brokers also provides micro or small forex account is especially for brand new traders. The traders who carry less knowledge about the market, they can start investing in this market with as minimum as $100. 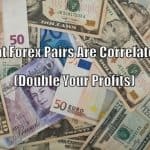 While there are some brokers who have introduced different variations in small forex accounts, the type that allows deposit of as minimum as $20 to $50. Small forex trading accounts usually restrict the position sizes of trades on the account to micro lots. This account also helps new traders in managing the risk factor. Usually, small account holders do not get benefits from brokers. Intermediate forex accounts have great variations in terms of account nomenclature. In some quarters, they are known as Gold account, Standard account, the classic account etc. Generally, the minimum deposit in the intermediate accounts is set to $500. The minimum deposit varies from one broker’s platform to another. While some brokers have extended the minimum deposit in this type of account to $1000. This type of account holders are given bonuses by brokers, normally from 50% and even up to 100% on the new account deposits, while some brokers also extend a few other bonuses, but this will not be constant. VIP or Premium or Platinum forex accounts are as the name suggests, for those traders who can be classified as VIP traders. Premium forex accounts are for those who can afford up to $10,000 as account opening capital. VIP forex account holders get a lot of bonuses from their brokers. Brokers always give this kind of traders 100% bonuses, it also varies from one broker to another. Normally, brokers provide access to debit cards, access to technical and fundamental analysis, travel benefits and several juicy bonuses to their VIP forex traders. 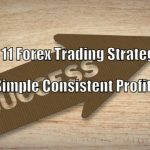 Premium or VIP forex traders have a good potential to make a handsome amount of profit because they can trade the unlimited number of standard lots. 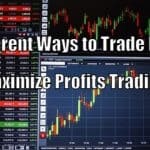 So, we can say that this type of traders are treated with many benefits and bonuses and they have the potential to make a handsome amount of profits. So, here we have seen three main types of forex trading accounts brokerage platforms offer. The above information is elaborated on a general sense, while it can vary from one brokerage platform to another. As we have seen, if you are a new trader, you should always go with a micro trading account instead of Intermediate (Standard) or Premium (Platinum) forex trading account. Small/Micro trading account would help in knowing this market better and it would also help you in adopting risk management. But, before even starting with micro forex trading account, you must know basic terminologies of forex, as you are brand new to this market. The ASK price is applicable to buy an order, while the BID price is applicable to sell order, the spread is the differentiation between ASK price and the BID price. Leverage is a good facility that helps traders in trading large amounts with smaller accounts. Market makers are aware that most of the new traders, they are inexperienced, are going to misuse the leverage. They generally take huge positions than their account balance. There the positions go against them, they get a margin call and stopped out very easily. Real STP and ECN brokers that are connected to the real liquidity providers, cannot offer leverages more than 100:1. A Pip, short for the point in percent, is the very minor measure of change in a particular currency pair in the foreign exchange market. Pips can be measured in terms of underlying currency or in terms of the quote. It is a standardized unit and is the smallest amount by which a currency quote can change, usually it is $0.0001 for currency pairs related to the US Dollar. It refers to the opening of a new position in the opposite direction of an existing position. It is an investment to reduce the risk of adverse price fluctuations in the asset. It is the quotation of two different currencies, with the price of one currency being quoted against the other currency. In a currency pair, the first listed currency is called the base currency and the second currency is called as the quote currency. Currencies are always traded in a pair, one currency is traded against the other. Some examples of currency pairs are USD/EUR, USD/JPY, CAD/GBP etc. 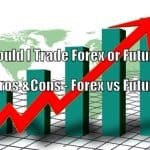 Foreign Exchange market is a very wide concept, apart from the given terms, there many other terms in the forex market. To become an expert forex trader, you need to keep learning from different legit sources, that provides you useful information. 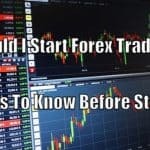 For the brand new forex trader, how they need to start forex trading? This question is very popular and frequently asked by new investors those have an interest in this market. For newbies, it is not suggested to directly open a standard forex account or VIP forex account. To gain practical knowledge, there are two options available, Demo trading account and Micro forex account. Even before proceeding for Small/Micro forex trading account, it is advisable to sign up with Demo trading account, that will teach you of forex market basic concepts for free. What is FOREX Demo Trading Account? Forex Demo accounts are funded with fake money which helps the prospective customer to experiment with his forex trading strategies. They also help the prospective customer in understanding the potential risks involved in forex trading. Generally, traders experience a big difference while trading with a demo account and with a live account; though there is a big psychological difference in both. With a forex demo account, we don’t feel real risk or emotional pressure. But, forex demo accounts are very useful when you are totally new to the market and unaware of basic concepts, you can learn basic concepts through demo accounts. By considering its limitations, you should limit the use of demo account, because they are not as much effective as live trading accounts. When to use FOREX Demo Trading Account? 1. If you are a brand new trader and need to learn basic concepts of this market, demo accounts are best for you. Forex market basic concepts like pips, short positions, long positions etc are important to have knowledge about, before starting with a live account. 2. When you want to test out the broker’s performance before going live, you should definitely try out the demo account. 3. When you have a new method to try out, you cannot simply try out with your live account then, you can try it out on the demo account. Why FOREX Demo Trading is not effective? So, due to the above reasons forex trading not accurate, it is better to limit the use of forex demo trading account. Foreign Exchange market is the largest financial market and most liquid market, consists of more than $5 trillion trading volume in a single day. But, the market is for those investors those have knowledge about this market and have good analyzing skills because around 95% of forex traders lose their money and end up quitting. So, for new traders, it is advisable to start with signing up for forex demo account and get some basic concepts clear. New traders can also switch to micro/small forex account once they get basic concepts clear.